Many parents can be extremely anxious about going away and leaving their baby with someone for the entire night. There can be a lot of separation anxiety for both the parents and the newborn. Because of this, a lot of parents prefer to leave their infant with a close family member, such as the baby’s grandparents. The baby should already know these relatives quite well, so being left with them for the whole night shouldn’t come as such a shock to them. If you are still feeling slightly wary and worried about leaving your child with its grandparents, there are a few extra things you can do to ensure that the sleepover is a success. Here are a few useful tips. Your baby will feel a lot more comfortable if they have some home comforts with them. So, it’s a good idea to take some important ones over to your parents for their stay, such as their favorite blanket or a beloved soft toy that they can sleep with. They will then feel right at home at their grandparents and won’t have too many issues trying to get to sleep. When babies are very young, it’s important that they sleep in the right kind of bed and have pillows and bed linens that are suitable for their age. Not having the right bed or linens could be quite dangerous. So, you should think about getting the best crib for your baby’s sleep and leaving it at your parent’s house. This is especially useful if your baby will be spending a lot of time there. That way, you don’t have to worry about your parent’s putting together a makeshift bed for them! You will no doubt have a bedtime routine that you follow every night with your infant. 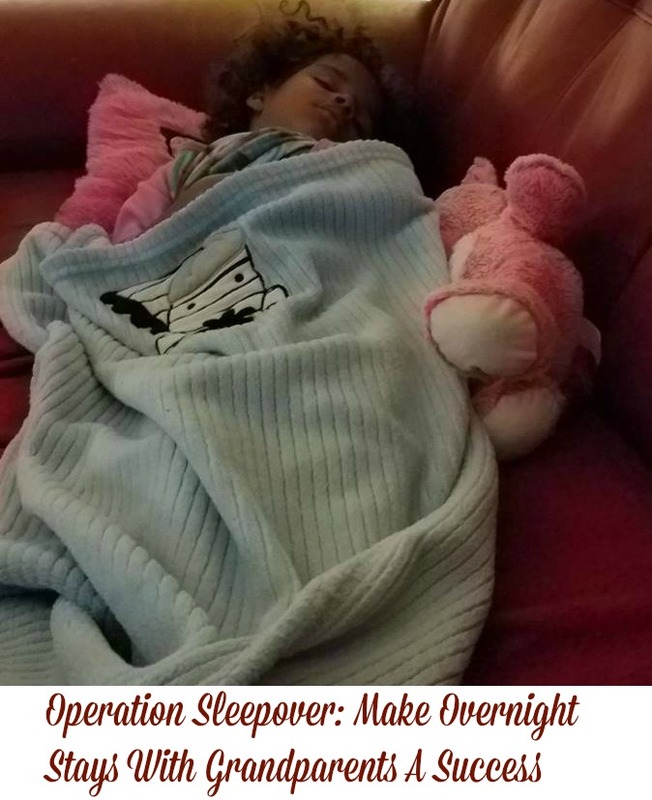 This will help prepare the child for sleep, and will also ensure that they sleep through the night as much as possible. So, it’s important that you let their grandparents know this routine and that they then stick to it. That way, the child will sleep well while they are staying with them, and you don’t have to worry about trying to get your baby back into this routine when you take it home. Emergencies can occur even when everyone does their best to try and prevent them. So, you should always leave some emergency contact numbers. At the very minimum, you should leave you and your partner’s cell phone numbers as well as the phone number for the venue or restaurant where you will be. Don’t worry while you are away from your baby. Even though emergencies and accidents can happen, they very rarely do. Don’t forget that your parents looked after you as a baby, so they have plenty of experience of dealing with newborns. If you think positively, you will be able to enjoy yourself more! I’m sure your baby will enjoy their sleepover! ← Sunshine and RollerCoasters Turns One! We’re Celebrating With A Blogiversary Giveaway! !